Guandy has specialized in the production of Marshmallows and Gummies during more than 30 years, so it could be considered as the best soft gelatin candies manufacturer around the world, due to their variety, quality, competitiveness, and experience in the category. Their Portfolio exceeds 100 different sku’s, flavors, colors, shapes, packaging, weight formats, presentations, and special formulas, which have been developed to fit all markets needs. They have recently got involved in the production of Chocolate covered Marshmallows, which resulted in a perfect and irresistible mix. 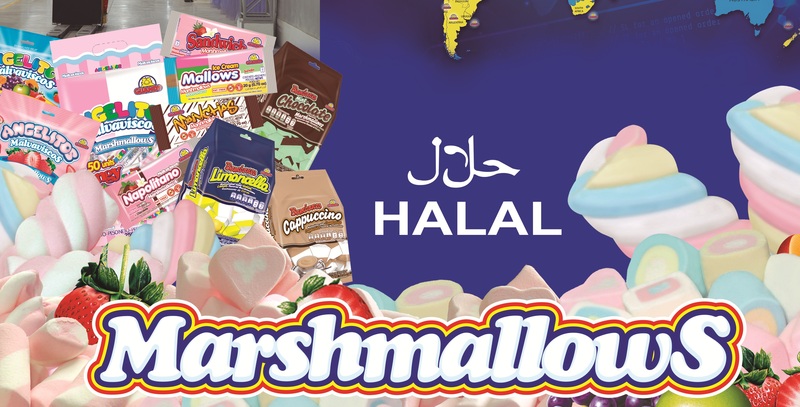 Their products are present in more than 40 countries, and consumers of all ages are delighted with their candies with the cooperation of the best business partners operating in each country. They have modern and ample facilities to respond to the world needs and their warehouses have more than 25,000 square meters. They designed the distribution center for the several logistics activities so they are able to load 25 containers at the same time. They have 25 years of experience as exporters to five continents. Guandy has more than 100 Business Partners, Importers and Distributors in the world. Their export team can communicate in several languages for your convenience. Their packaging fulfills a good variety of international labeling requirements. Their production plant has FSSC22000 Certification to guarantee food safety products. They do manage professional resources planning which allows us to program shipments with quality and in time. They load their containers through two oceans: Pacific Ocean (Puerto Quetzal) & Atlantic Ocean (Puerto Santo Tomás de Castilla).